After an entertaining night out with my Nagoyan friends, I teamed up with Taizo Shimazaki and Hiroyuki Fujita for a joined fishing trip to Biwako the next day. We arrived at one of our favorite spots around midday and started out in good mood, as conditions where almost perfect with cloudy weather and light rain setting in. I had the pleasure to test the about-to-be-released Budd & Joey collaboration rod that day – a fantastic rod, designed and built on the occasion of Fenwick’s 60th anniversary last year. It’s a beautifully designed and perfectly crafted piece of tackle and I was amazed by casting accuracy and overall rod action when testing it at Biwako. Unfortunately I missed out on two good bites early on, both courtesy of Budd & Joey’s „Peek-a-boo Amazing“ in Color: YGF. Right after these painful misses, heavy rain set in and even if we where well prepared, the intensity of rain and gusts caught us by surprise. I didn’t even had the chance to take some photos during that short trip because of these harsh conditions. 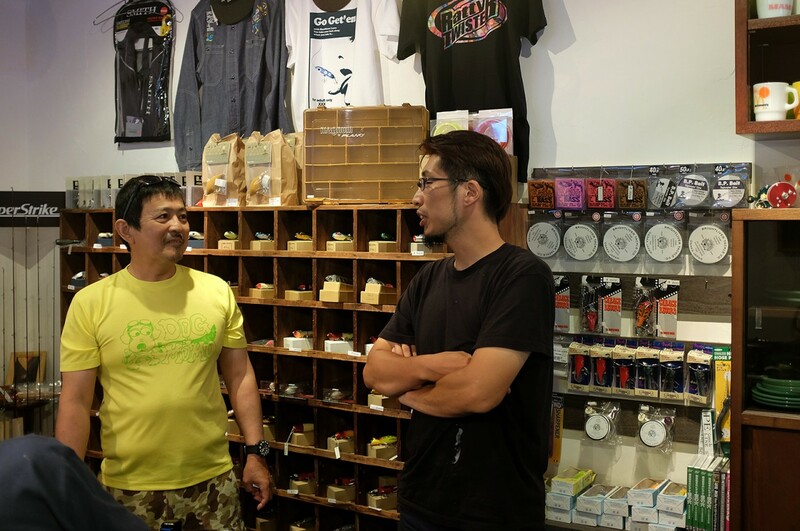 After a healthy doze of sleep that night, I got picked up by fellow friend Taizo Shimazaki of Handsome Lures next day and he kindly offered to do some sightseeing in Nagoya. 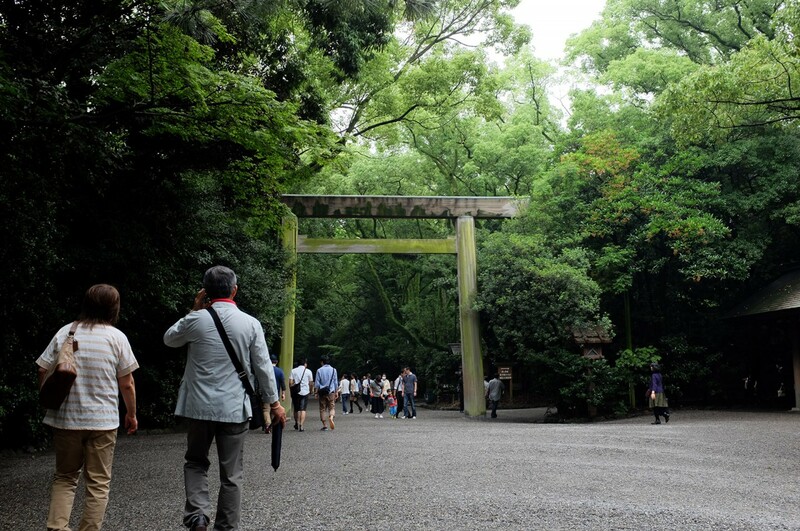 We started with a visit to the famous Atsuta Shrine which stands in a pleasant, wooded park in southern Nagoya. 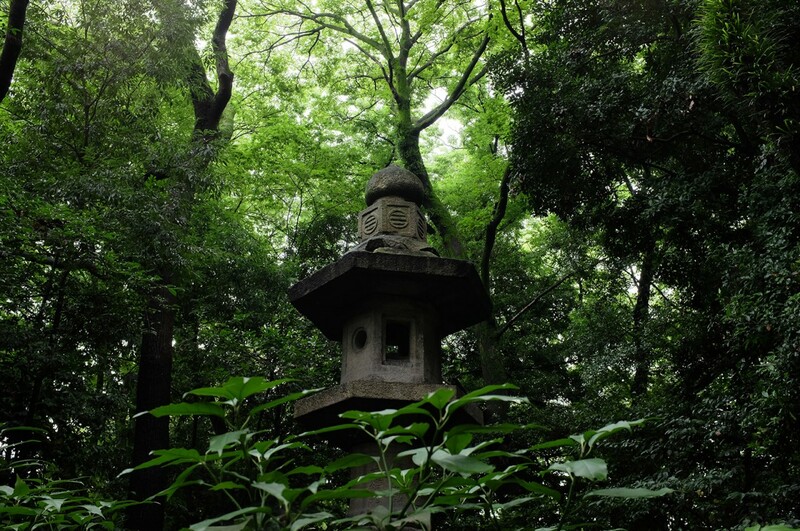 The shrine and surrounding park where simply stunning to watch and explore. Right afterwards we went to another sacred place – the Handsome Lures workshop, which I’ve been to a few times already in previous years. 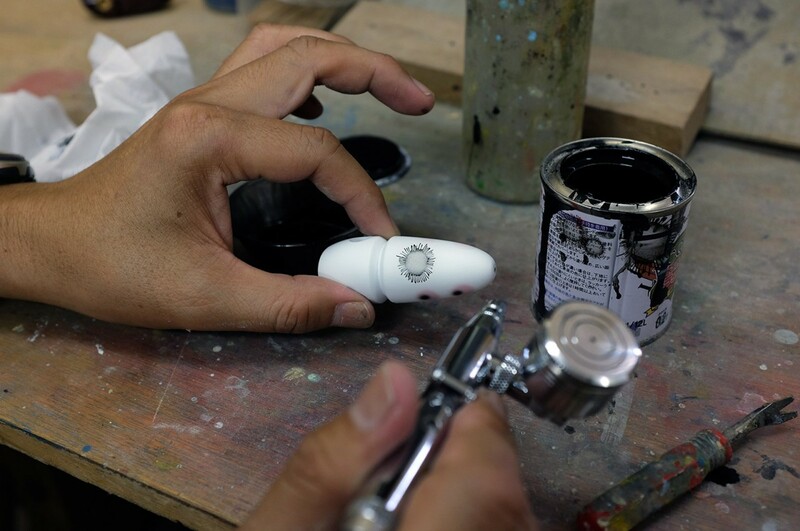 It’s always exciting to see tools and work in progress states of Shimazaki San’s lure designs and I’ve got a lot of respect for the hard work he’s putting into each of his lure releases. 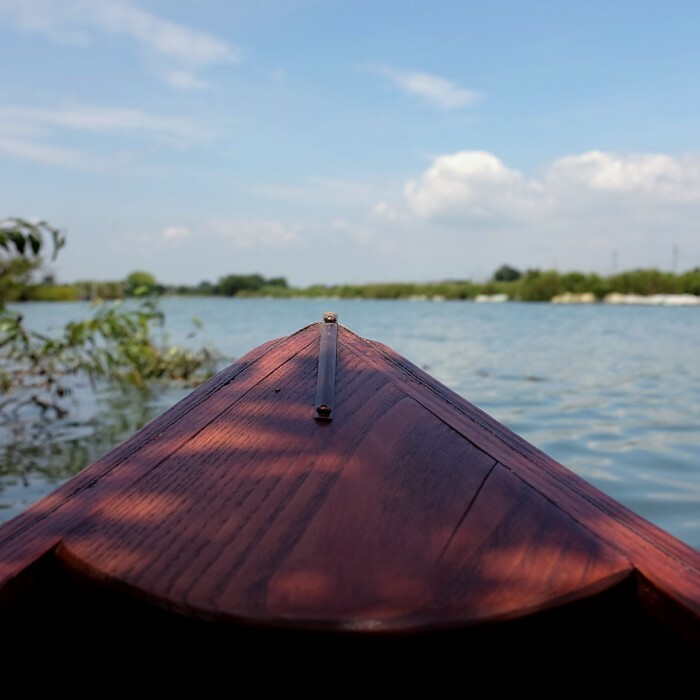 I got invited to test some newly designed lure prototypes and after an in-detail inspection of the workshop, we went to a small nearby pond in the afternoon. 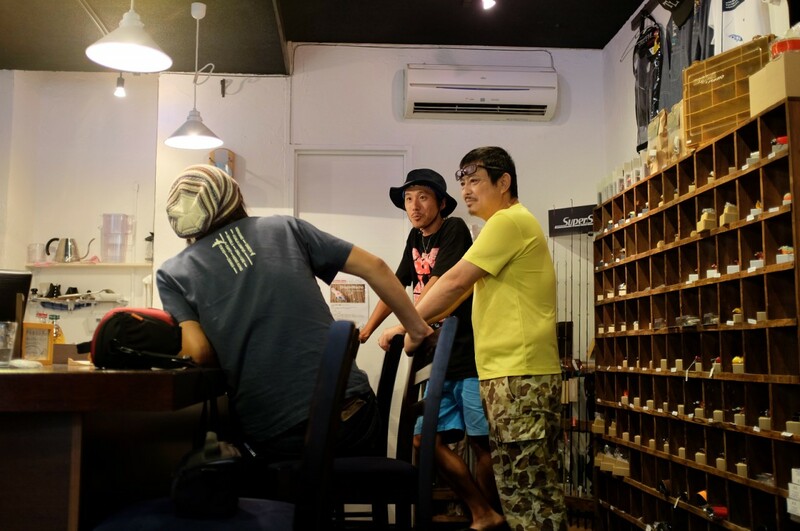 Our next stop was Boaster Cafe – a cozy and nicely designed topwater fishing shop and cafe run by Masahiro Hotta. It was my first visit to this newly opened place and I really enjoyed marvelling at beautiful lures and fishing tackle before we went out for dinner followed by a night-sightseeing tour around Nagoya station to round-up a pleasant and inspiring day in great company. Great post! The lures are amazing and inspiring. One roadblock I am running into is the homogeneous lure component hardware that is available from Aust/US/UK (my online searches usually only return sites from these countries. I am looking at custom designing and making lure components but realize the expense may be prohibitive. I’m had the same issues when I got into lure building and it took me a while to find a way around the lack of options. I bought stuff from lureparts.nl (washers and scew eyes) and jannsnetcraft.com (Mustard double hooks) in the past, but ended up getting my lure parts during stays in Japan. Parts from the popular US/UK stores should do For first prototypes and testing. Yeah, I have been getting supplies from lurepartsonline, jannsnet, kingstonlures etc. for some time now. I was originally making my own spinnerbaits with my daughter. 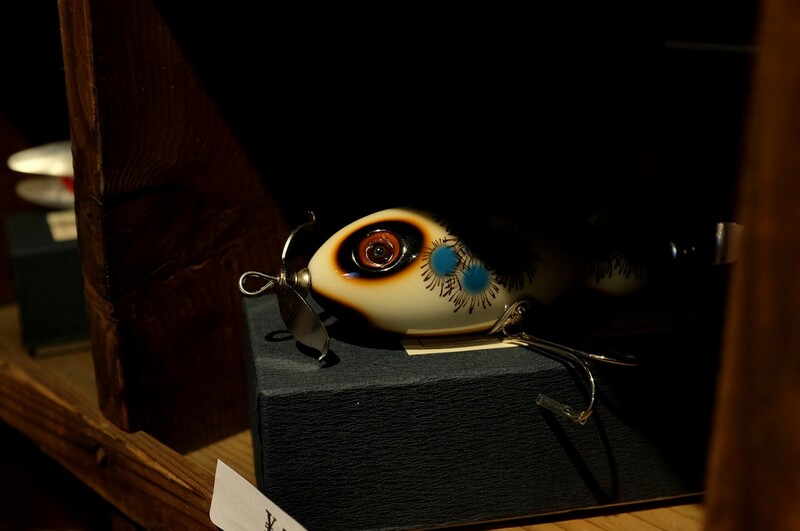 My first wooden lure creations were rather crude but to my great satisfaction, they all caught fish. 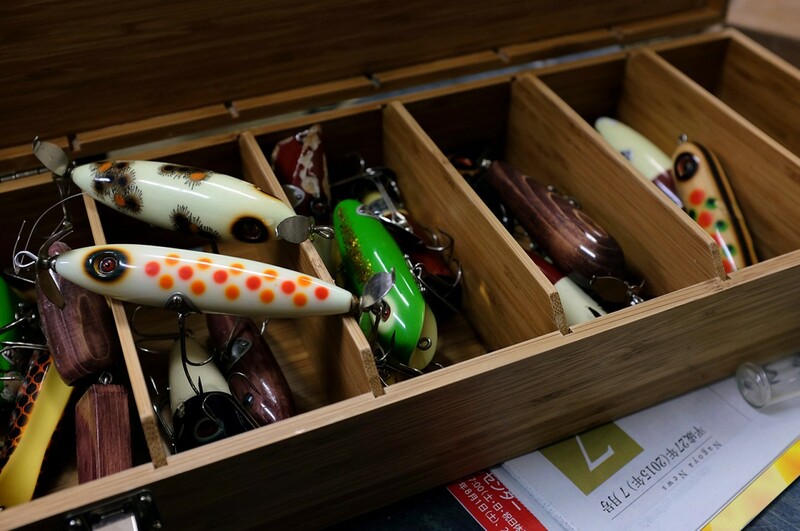 Now I am wanting to take my shapes and finishes to the next level and I really admire how the Japanese lure makers “show off” the lure component hardware rather than try to hide it in an effort to make it look “natural”. Obviously if you are going to do this, you need nice hardware. I’ll see what I can find on the Japanese sites. Congratulations to your blog. I found it by accident but find it really great, the photos are amazing. Can I ask you what kind of equipment you are using to take your photos, camera, lens, flash? thanks a lot for your flattering feedback. Glad you like what I’m doing here. 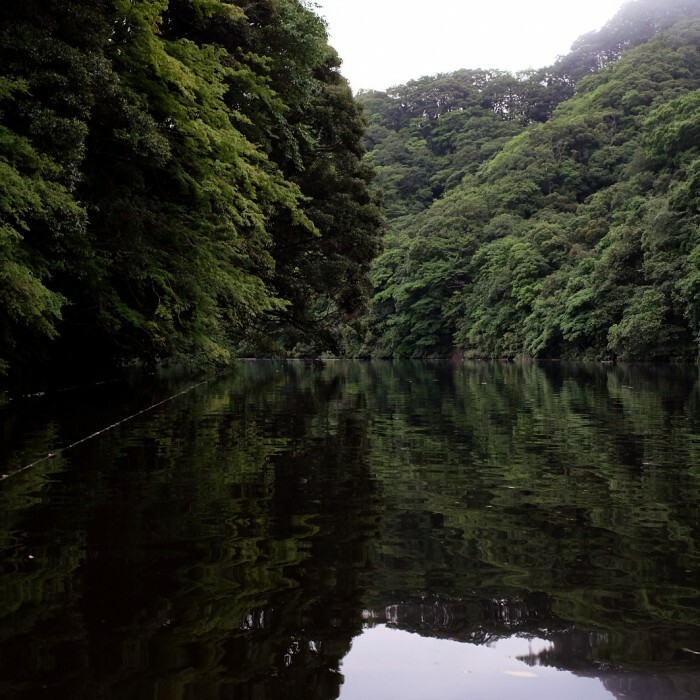 I’m using a Fujifilm X100s without any additional equipment. It’s a fine little camera, lightweight and super fast while perfectly mastering any light conditions I’m throwing at it. Colors are vibrant and pictures ultra sharp; even at smaller file sizes so that I barely have to edit photos before putting them on the blog.